Samuel's sons were dishonest and not trustworthy. 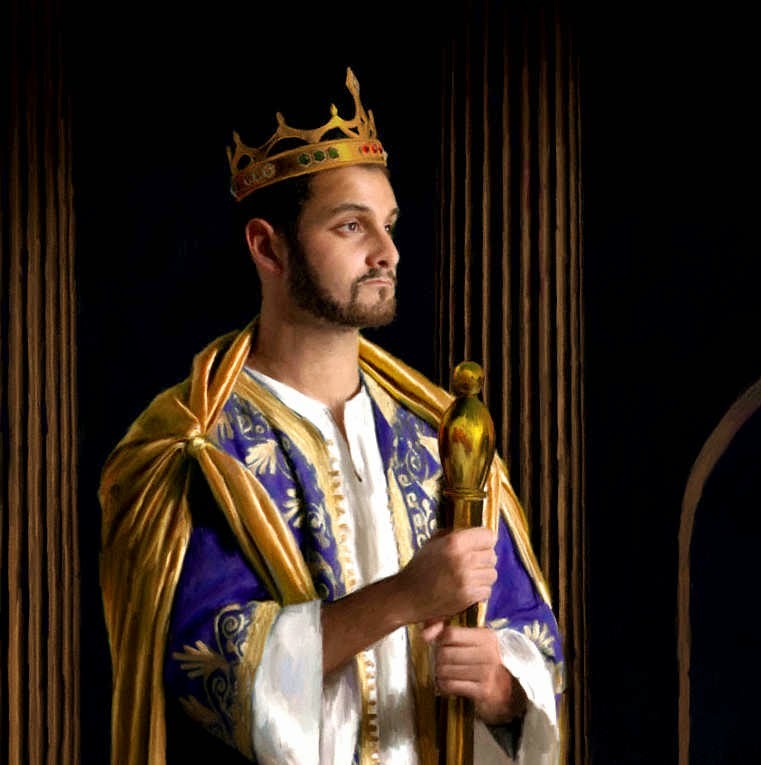 The leaders of the Israelites feared that it would be disastrous if his sons were to be judge over them, and requested that Samuel give them a king. Archon Demiurge, however, stated that only he could be their 'King', and that if they had a king (melech), like the other nations, it would be to their detriment. Samuel, in obedience to the Demiurge, warned that if he appointed a king over them, they would suffer from the dealings of the king. Saul, a young Israelite, was commanded by his father, Kish, to go and locate their lost donkeys. Saul obeyed and Samuel saw him walking toward him. The Archon Demiurge, relenting and giving in to the demands of the Jewish people, revealed to Samuel that Saul would be the one anointed as the "first" King of Israel. As king, besides relieving the siege of Jabesh-Gilead, Saul conducted military campaigns against the: Moabites, Ammonites, Edomites, the kings of Zobah, Philistines, and Amalekites. After the battle with the Philistines, Samuel, passing on the will of the Archon Demiurge that Saul should kill all the Amalekites, which was in accordance with the mitzvah to do so. Having forewarned the Kenites who were living among the Amalekites to leave, Saul went to war and defeated the Amalekites. Saul killed all the babies, women, children, poor quality livestock and men, and left alive the king and best livestock. When Samuel found out that Saul had not killed them all, he informed Saul that 'god', the Archon Demiurge, had rejected him as king, because Saul was disobedient. Samuel is surreptitiously sent by the Archon Demiurge to Jesse. 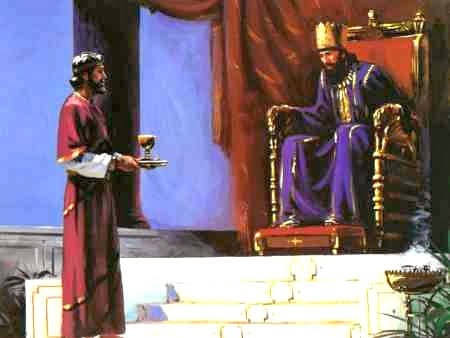 While offering a sacrifice in the vicinity, Samuel includes Jesse among the invited guests. Dining together, Jesse's sons are brought one by one to Samuel, each time being rejected by him. Running out of sons, Jesse sends for David, the youngest, who was tending sheep. When brought to Samuel, David is anointed by him in front of his other brothers. 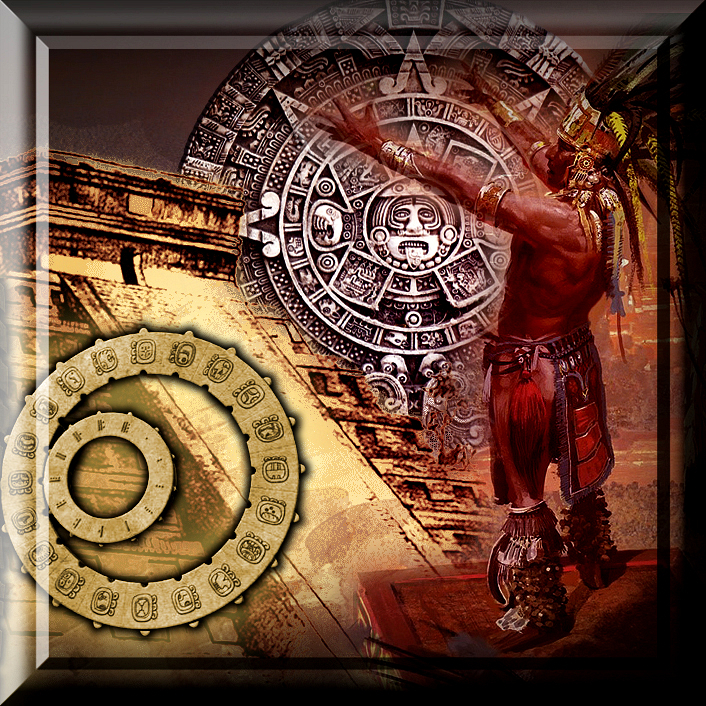 Saul is troubled by an evil spirit sent by the Archon. Saul requests soothing music, and a servant recommends David the son of Jesse, who is renowned as a skilful harpist. When word of Saul's needs reach Jesse, he sends David, who had been looking after a flock, and David is appointed as Saul's armour bearer. David remains at court playing the harp as needed by Saul to calm his moods. The Philistines return with an army to attack Israel, but, having massed on a hillside opposite to the Israelite forces, suggest that to save effort and lives on both sides, it would be better to have a proxy combat between their champion, a Rephaite from Gath named Goliath, and someone of Saul's choosing. David, talks to the nearby soldiers mocking the Philistines, but is reprimanded by his brothers for doing so. David's speech is overheard and reported to Saul, who summons David and on hearing David's views appoints David as his champion, and David defeats Goliath with a single shot from a sling. 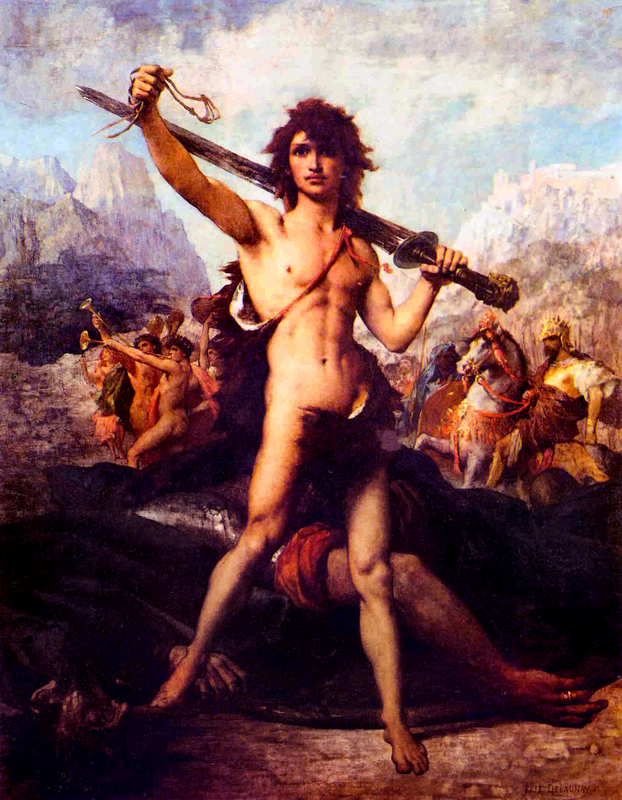 Goliath falls forward and David decapitates him with his own sword. It became evident to the Demiurge that the 'false religion' he had 'created' for his 'chosen people' (the Jews) had created so much opposition among the various cultural, religious and political groups in the ancient world that it was not sustainable. The Babylonian Exile was the period in Jewish history during which a number of Jews of the ancient Kingdom of Judah were captives in Babylonia. After the Battle of Carchemish in 605 BCE, Nebuchadnezzar, great king of the Chaldeans, besieged Jerusalem, resulting in tribute being paid by the Jewish King Jehoiakim. 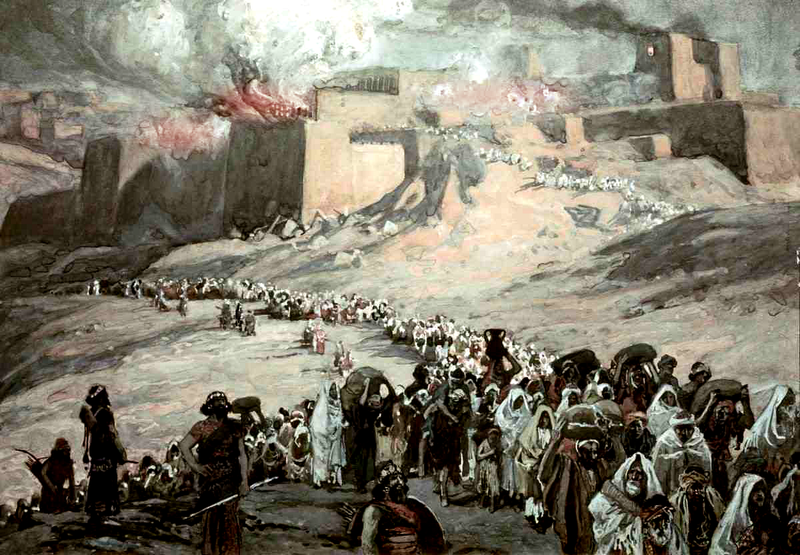 Jehoiakim refused to pay tribute in Nebuchadnezzar's fourth year, which led to another siege in Nebuchadnezzar's seventh year, culminating with the death of King Jehoiakim, and the exile of King Jeconiah, his court and many others; Jeconiah's successor Zedekiah and most of the remaining people were exiled in Nebuchadnezzar's eighteenth year; a later deportation occurred in Nebuchadnezzar's twenty-third year. These deportations are attributed to 597 BCE, c. 587 BCE, and c. 582 BCE, respectively. Nebuchadnezzar II נְבוּכַדְנֶצַּר Ναβουχοδονόσωρ - (c 634 – 562 BC) was king of the Neo-Babylonian Empire, who reigned c. 605 BC – 562 BC. 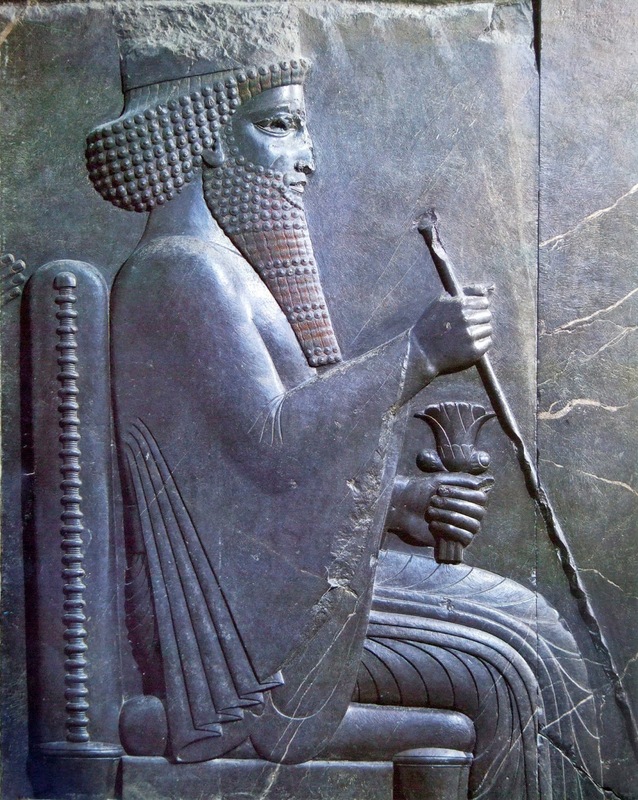 He is credited with the construction of the Hanging Gardens of Babylon and for the destruction of the First Temple. He is featured in the Book of Daniel and is mentioned in several other books of the Bible. The Jews' failure to accept the hegemony of the Neo-Babylonian Empire (which resulted in the destruction of the First Temple and the Exile) was the result of the false promises that the Archon Demiurge, masquerading as Yaweh, had made to his 'chosen people' - and specifically to king David. Subsequently the Demiurge's 'chosen people' were allowed to return to Palestine (Israel - referred to by the Jews as שִׁיבָת צִיּוֹן). 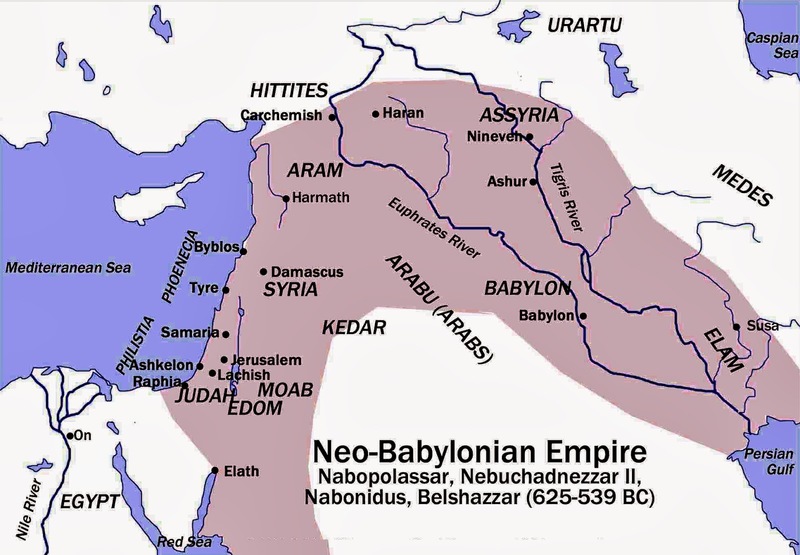 According to the books of Ezra-Nehemiah, a number of decades later in 538 BC, the Jews returned to the land of Israel from the Babylonian exile following the decree by the Persian emperor Cyrus the Great, who was the conqueror of the Babylonian Empire. 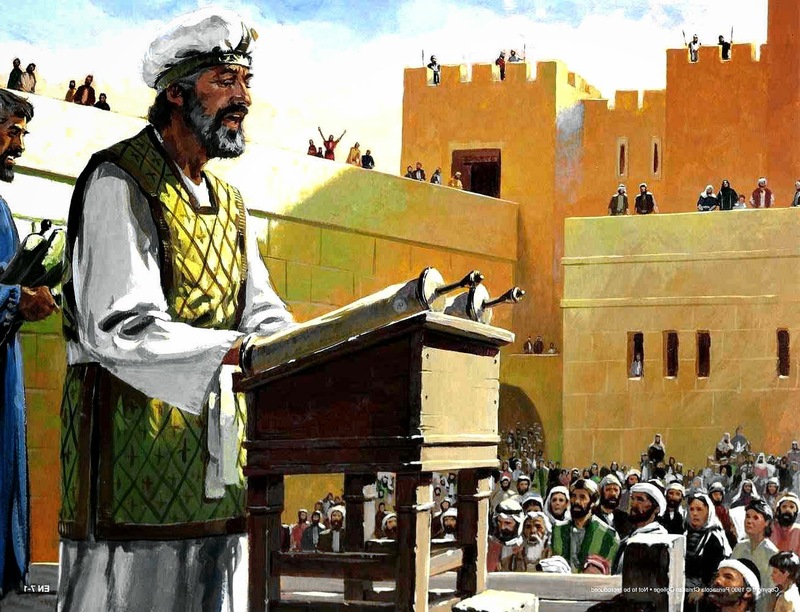 The Book of Nehemiah covers the period from the fall of Babylon in 539 BC to the second half of the 5th century BC, telling of the successive missions to Jerusalem of Zerubbabel, Ezra, and Nehemiah, and their efforts to restore the worship of the God of Israel and a purified Jewish community. The Book of Ezra describes how he led a group of Judean (Jewish) exiles living in Babylon to their home city of Jerusalem (Ezra 8.2-14) where he enforced observance of the Torah and cleansed the community of mixed marriages - (marriages of Jewish men to gentile women - ethnic cleansing). Cyrus granted the Jews the right to worship their 'god' in Jerusalem, in a form of autonomy. Around 50,000 Jews made Aliyah (return) to the land of Israel, whereas (surprisingly) most remained in Babylon. Cyrus the Great figures in the Hebrew Bible as the 'patron' and 'deliverer' of the Jews. 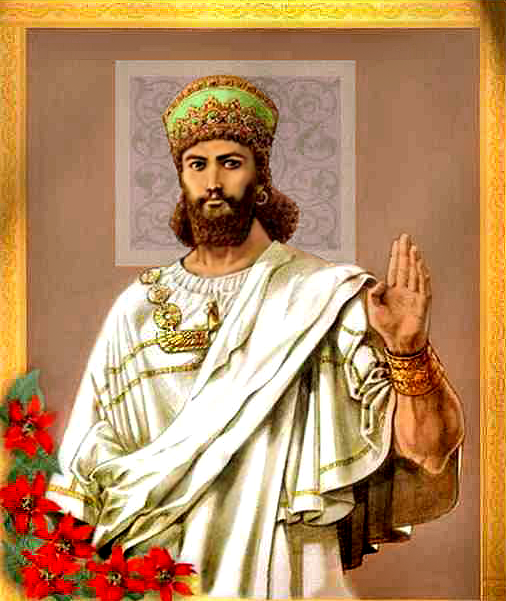 He is mentioned 23 times by name and alluded to several times more.From these statements it appears that Cyrus the Great, king of Persia, was the monarch under whom the Babylonian captivity ended, for according to the Bible, in the first year of his reign he was prompted by God to make a decree that the Temple in Jerusalem should be rebuilt and that such Jews as cared to might return to their land for this purpose. Moreover, he showed his interest in the project by sending back with them the sacred vessels which had been taken from the First Temple and a considerable sum of money with which to buy building materials. Cyrus the Great is unconditionally praised in the Jewish sources. It is likely that, after the Persian conquest of Babylon, Cyrus had commenced his relationship with the Jewish leaders in exile, and that he later was considered as a messiah sent by God. The Jewish returnees had settled in what became known as Yehud Medinata. Yehud, or Judah, was a self-governing Jewish province under the ruling of the Persian Empire, and included a small piece of territory out of Eretz Israel (the land of Israel), containing Jerusalem and Judea, which even issued their own small silver coins inscribed with the three letters Y-H-D. There was tension between the Zion returnees and the local Israelites who resided in the areas of Judea, Samaria and Benjamin. Additional religious tension was created between them and the Samaritans who perceived themselves as Jews (and were Jews), whereas the Zion returnees treated them as Goyim (non -Jews). The Samaritans (שומרונים‎ - Samaritan Hebrew: - 'Guardians - Keepers - Watchers of the Law') are an ethnoreligious group of the Levant, descended from ancient Semitic inhabitants of the region. Religiously the Samaritans are adherents of Samaritanism, an Abrahamic religion, the most closely related to Judaism. Based on the Samaritan Pentateuch (Five Books of Moses), Samaritans assert their worship is the true religion of the ancient Israelites prior to the Babylonian Exile, preserved by those who remained in the Land of Israel, as opposed to Judaism, which they assert is a related, but altered and adulterated religion, brought back by those returning from the Babylonian exile. The Samaritans reject Mount Zion as the sight of temple, and regard Mount Gerizim, rather than Jerusalem's Temple Mount, as having been the location chosen by Yahweh for his Holy Temple. According to Josephus, the Samaritan Temple on Mount Gerizim was destroyed by the Jewish Hasmonean High Priest, John Hyrcanus, in the 2nd century BCE. The returnees faced a number of difficulties, including consecutive years of a harsh drought in the land of Israel shortly after the return to Zion. Zion (ציון‎), is a place name often used as a synonym for Jerusalem. The word is first found in Samuel II, 5:7 dating to c.630–540 BCE according to modern scholarship. It commonly referred to a specific mountain near Jerusalem (Mount Zion), on which stood a Jebusite fortress of the same name that was conquered by David, and was named the 'City of David'. The term Zion came to designate the area of Jerusalem where the fortress stood, and later became a metonym for Solomon's Temple in Jerusalem. In addition there were security difficulties, because the city walls of Jerusalem had been destroyed, and therefore did not provide defence. To increase the returnees problems, friction developed between the leaders of the community. While Joshua the son of Jehozadak (Joshua the High Priest), was satisfied with the religious autonomy granted to Jerusalem by the Persians, Zerubbabel aspired to full independence (one again a return to the promises made by the Demiurge to David). Therefore, feelings of disappointment developed among the Zion returnees, which also led to the delay of the construction of the Second Temple, that eventually was completed only in 516 BC. 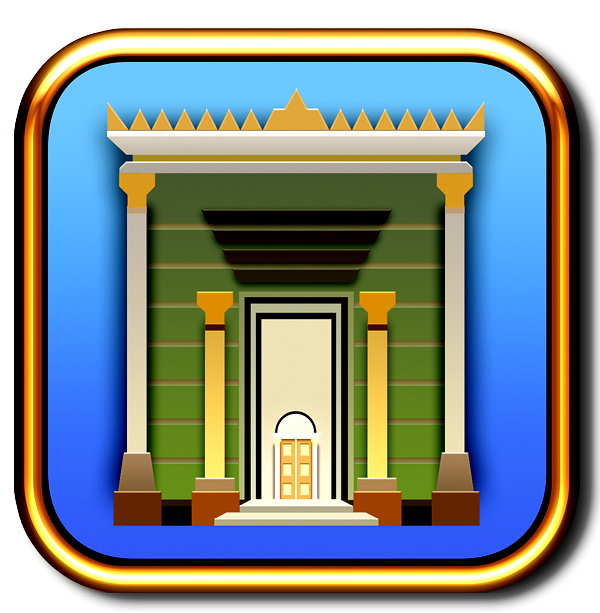 The Second Temple - בֵּית־הַמִּקְדָּשׁ הַשֵּׁנִי‎ - (built by the returnees from Babylon) stood on the Temple Mount in Jerusalem between 516 BCE and 70 CE. It replaced the First Temple (built by King Solomon), which was destroyed in 586 BCE. On the invitation of Zerubbabel, the governor, who showed them a remarkable example of liberality by contributing personally 1,000 golden darics, besides other gifts, the people poured their gifts into the sacred treasury. 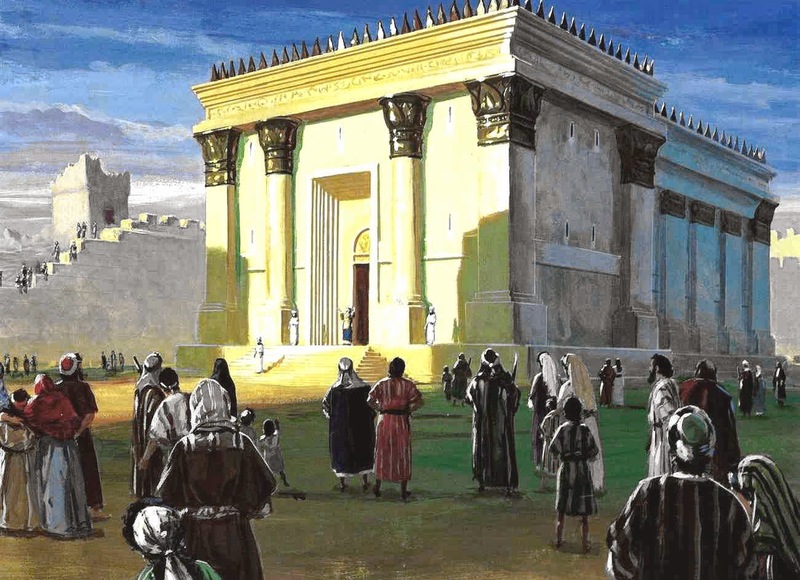 First they erected and dedicated the altar of God, on the exact spot where it had formerly stood, and they then cleared away the charred heaps of debris which occupied the site of the old temple; and in the second month of the second year (535 BCE), amid great public excitement and rejoicing, the foundations of the Second Temple were laid. 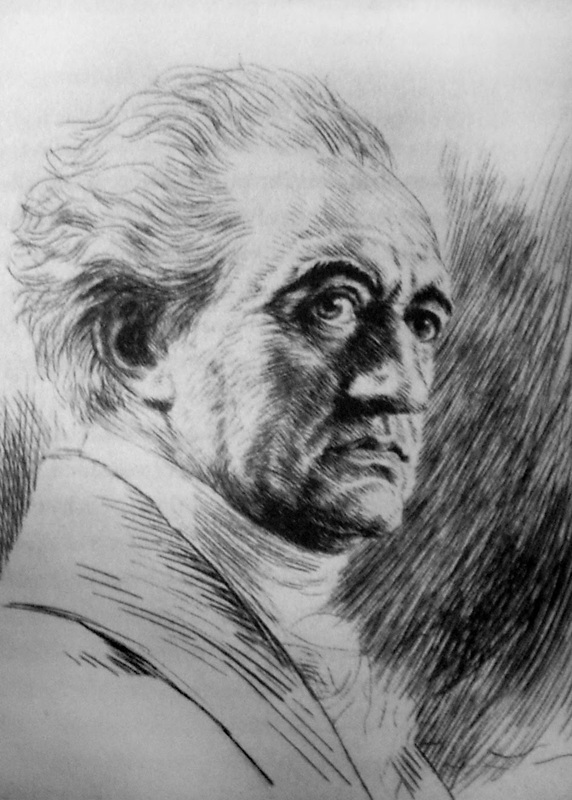 Significantly, the Samaritans made proposals for co-operation in the work. Zerubbabel and the elders, however, declined all such cooperation, feeling that the Jews must build the Temple without the help of 'non-Jews' (Goyim). Goy (Hebrew: גוי‎, regular plural goyim גוים or גויים) is the standard Hebrew biblical term for a "nation". Use of the plural, "nations," to refer to non-Jews is found from "I will cast out the nations before thee" (Exodus 34:24), and long before Roman times it had also acquired the meaning of "gentile". The latter is also its meaning in Yiddish. The word is also used to pejoratively describe those not of Jewish descent. It is commonly used to refer to Christians and Muslims, but is regularly used by Jews to refer to any and all peoples of faiths other than Judaism. The rebuilt Temple was ready for consecration in the spring of 516 BCE, more than twenty years after the return from captivity. 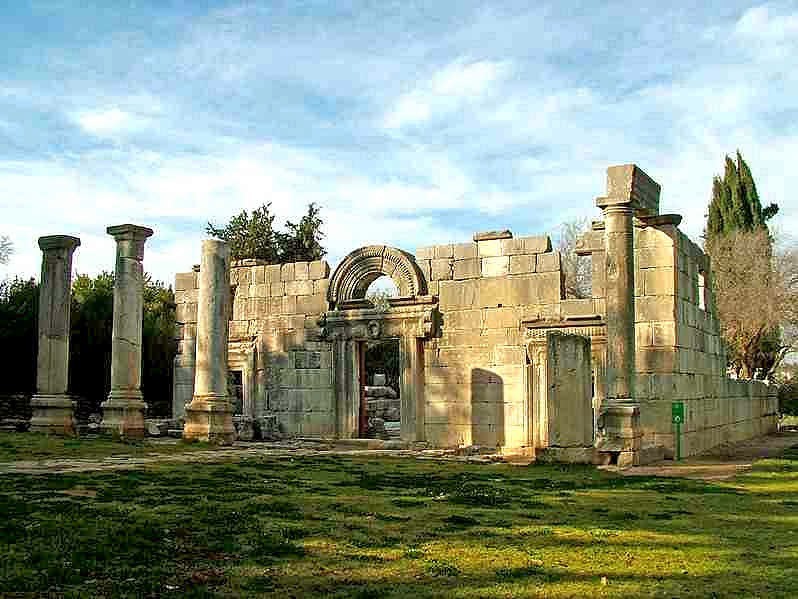 The Temple was completed on the third day of the month Adar, in the sixth year of the reign of King Darius. It was evident, however, that the Jews were no longer an independent people, but were subject to a foreign power. Despite this obvious fact, the Book of Haggai includes a prediction that the glory of the Second Temple would be greater than that of the First. 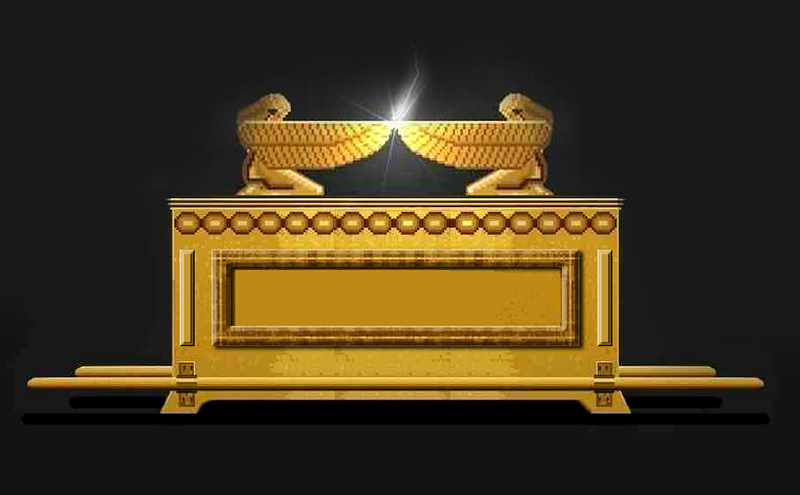 The Ark of the Covenant. In the Second Temple, the Kodesh Hakodashim (Holy of Holies) was separated by curtains rather than a veil, as in the First Temple. The golden altar of incense, with golden censers. According to the Mishnah (Middot iii. 6), the "Foundation Stone" stood where the Ark used to be, and the High Priest put his censer on it on Yom Kippur. The "Foundation Stone" is located towards the centre of the Temple Mount, an artificial platform built and expanded over many centuries. The current shape is the result of an expansion by Herod the Great on top of vaults over a hill, generally believed to be 'Mount Moriah'. The rock constitutes the peak of this now hidden hill, which is also the highest in early biblical Jerusalem, looming over the City of Jerusalem. 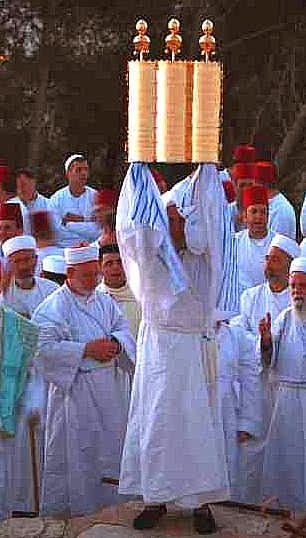 The Mishnah gives the height of the rock as three finger breadths above the ground. According to the sages of the Talmud it was from this rock that the world was created, itself being the first part of the Earth to come into existence. The Second Temple also included many of the original vessels of gold that had been taken by the Babylonians, but restored by Cyrus the Great. According to the Babylonian Talmud (Yoma 22b), however, the Second Temple lacked the all important 'Shekinah', the presence of 'god' - the Demiurge, and the 'so called' 'Ruach HaKodesh', the Spirit of Holiness, present in the first. 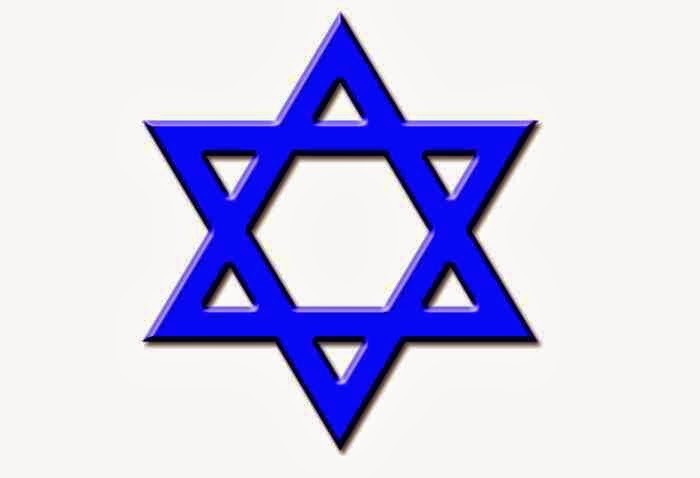 Shekinah - שכינה‎ - is the English spelling of the Hebrew name of 'god' in Judaism. The original word means the dwelling or settling, of the presence of 'god', especially in the Temple in Jerusalem. 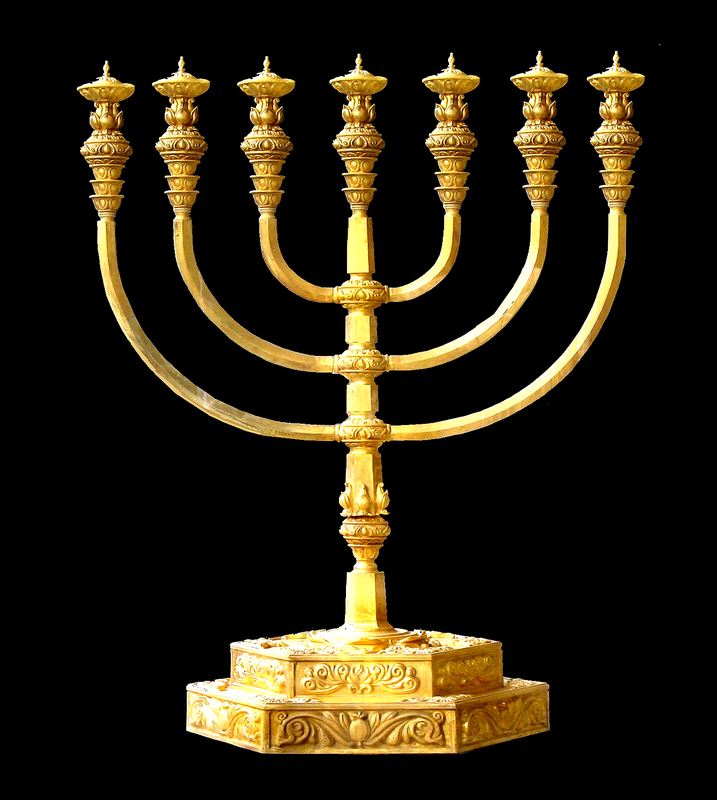 The Shekinah is referred to as manifest in the Tabernacle and the Temple in Jerusalem throughout Rabbinic literature. Following the conquest of Judea by Ἀλέξανδρος ὁ Μέγας - Alexander the Great, it became part of the Ptolemaic Kingdom of Egypt until 200 BCE, when King Antiochus III, the King of Syria, defeated King Ptolemy V Epiphanes of Egypt at the Battle of Panion. 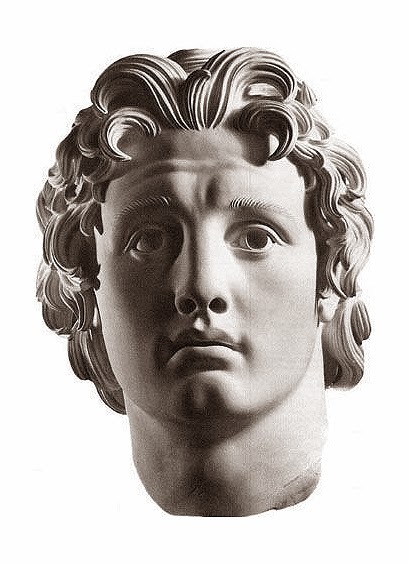 Alexander III of Macedon (20/21 July 356 – 10/11 June 323 BC), commonly known as Alexander the Great was a king of the Greek kingdom of Macedon. Born in Pella in 356 BC, Alexander succeeded his father, Philip II to the throne at the age of twenty. He spent most of his ruling years on an unprecedented military campaign through Asia and north-east Africa, until by the age of thirty he had created one of the largest empires of the ancient world, stretching from Greece to Egypt and into present-day Pakistan. The Ptolemaic dynasty, ( Πτολεμαῖοι) were the Macedonian Greek descendants of Ptolemy I Soter, one of the six somatophylakes (bodyguards) who served as Alexander the Great's generals and deputies and was appointed satrap of Egypt after Alexander's death in 323 BC. 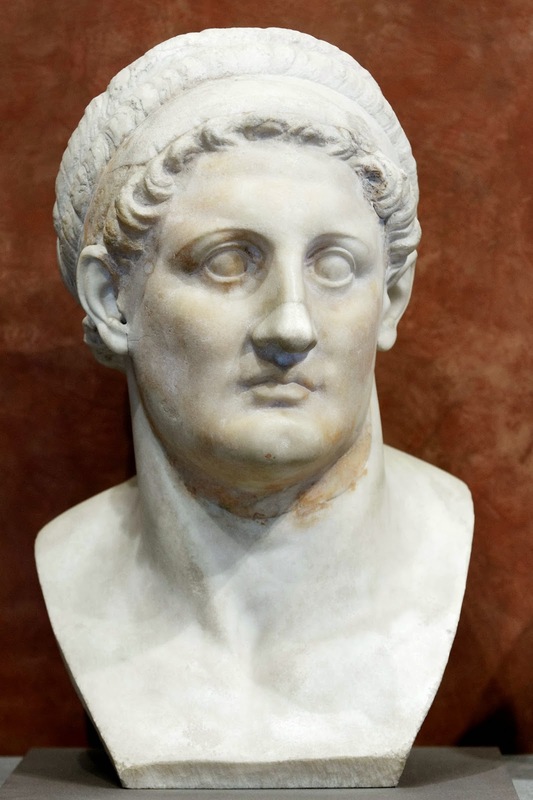 In 305 BC, he declared himself King Ptolemy I, later known as "Soter" (saviour). The Egyptians accepted the Ptolemies as the successors to the Pharaohs of independent Egypt. Ptolemy's family ruled Egypt until the Roman conquest of 30 BC. Antiochus III the Great (Ἀντίoχoς Γ΄ ὁ Μέγας; c. 241 – 187 BC, ruled 222–187 BC) was a Seleucid Greek king, and the 6th ruler of the Seleucid Empire. 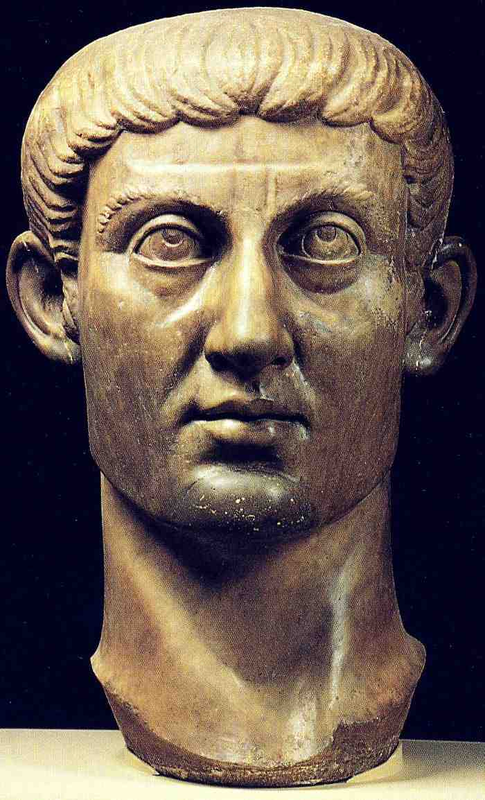 He ruled over the region of Syria and western Asia towards the end of the 3rd century BC. 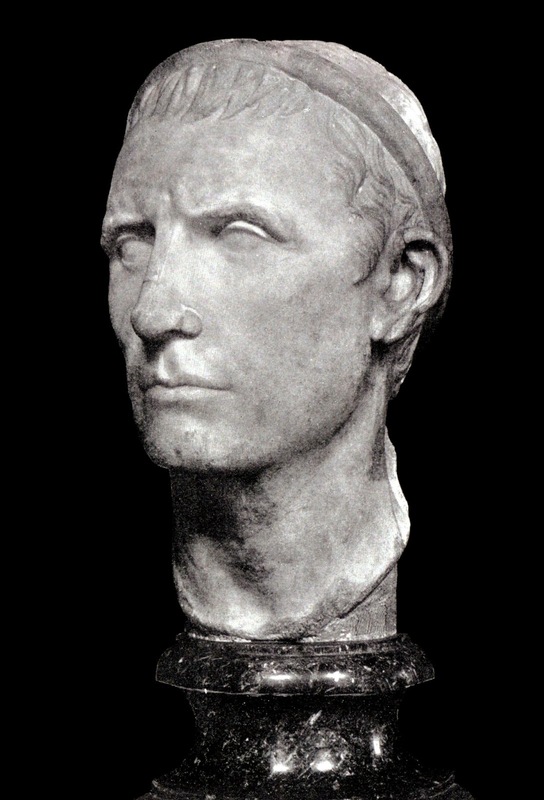 Rising to the throne at the age of eighteen in 222 BC, his early campaigns against the Ptolemaic Kingdom were unsuccessful, but in the following years Antiochus gained several military victories. His traditional designation, the Great, reflects an epithet he briefly assumed. He also assumed the title Basileus Megas (Greek for "Great King"), the traditional title of the Persian kings. Judea became at that moment part of the Seleucid empire of Syria. When the Second Temple in Jerusalem was looted by the Selucids, and its religious services stopped, Judaism was effectively outlawed. In 167 BCE, Antiochus IV Epiphanes ordered an altar to Zeus erected in the Temple. He also banned circumcision and ordered pigs to be sacrificed at the altar of the Temple. 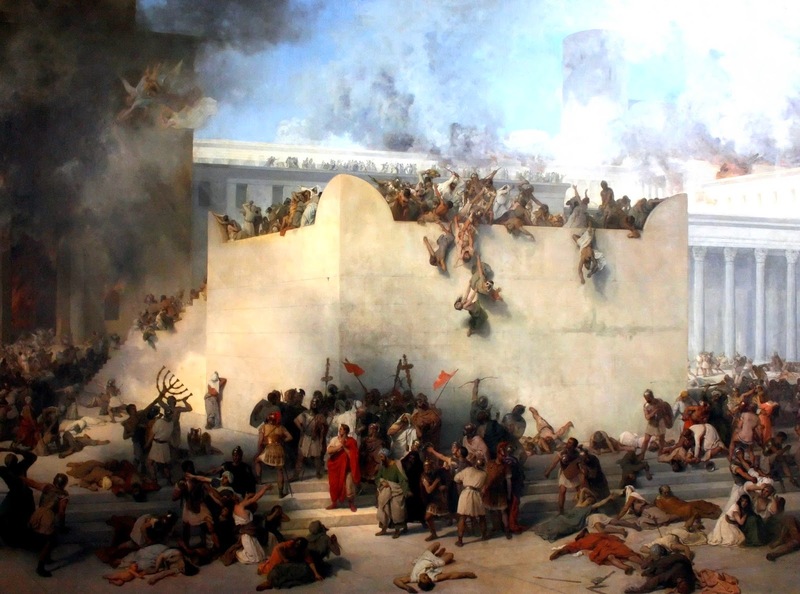 Following the Maccabean Revolt against the Seleucid empire, the Second Temple was re-dedicated and became the religious centre of the Jewish Hasmonean kingdom. The Maccabees - מכבים - Μακκαβαῖοι - were the leaders of a Jewish rebel army that took control of Judea, which at the time had been a province of the Seleucid Empire. They founded the Hasmonean dynasty, which ruled from 164 BCE to 63 BCE. They reasserted the Jewish religion, partly by forced conversion, expanded the boundaries of Judea by conquest and reduced the influence of Hellenism and Hellenistic Judaism. 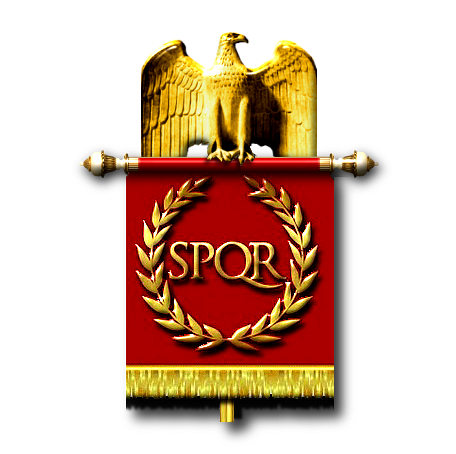 Once again the 'chosen people' of the Demiurge, who had been promised an everlasting kingdom, were conquered - this time by the Romans. The Romans imposed Herod (הוֹרְדוֹס - Ἡρῴδης) - the Edomite on the Jewish people, (73/74 BCE – 4 BCE). 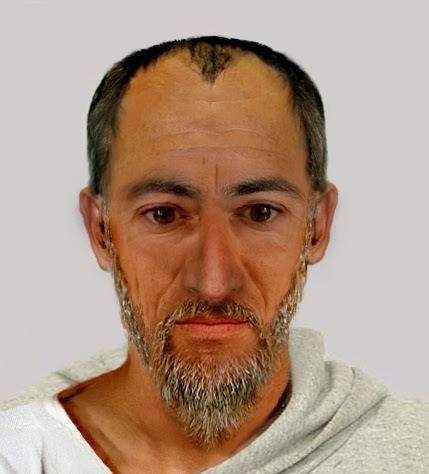 He was also known as Herod the Great or Herod I, and was the Roman client king of Judea. He is known for his expansion (literally rebuilding) of the Second Temple in Jerusalem (Herod's Temple). Herod was the second son of Antipater the Idumaean, a high-ranked official under Ethnarch Hyrcanus II, and Cypros, a Nabatean. Herod practised (occasionally) Judaism, as many Edomites and Nabateans had been commingled with the Jews, and adopted their customs. These "Judaized" Edomites were not considered Jewish by the dominant Jewish tradition, so even though Herod may have considered himself of the Jewish faith, he was not considered Jewish by the observant and nationalist Jews of Judea. 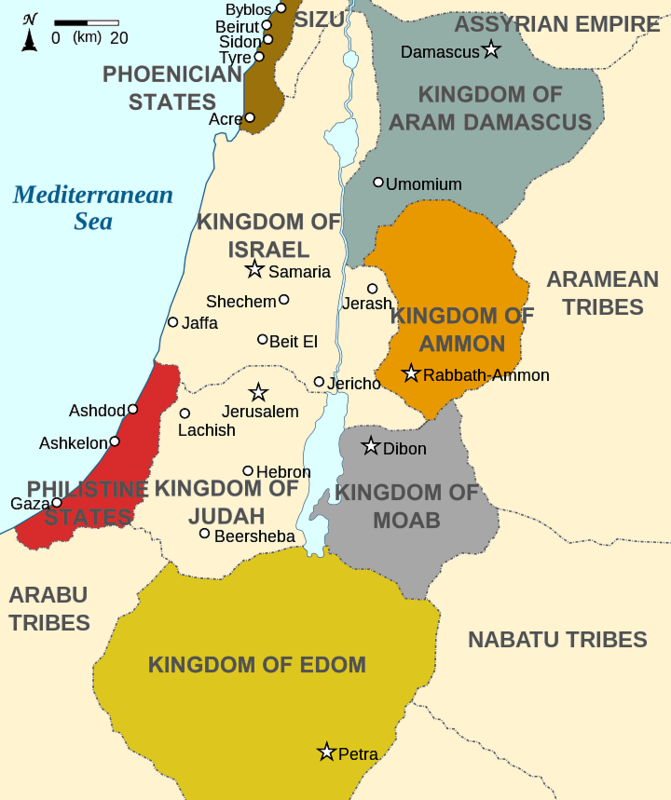 Edom - אֱדוֹם - Ἰδουμαία - Idūmaea - was a Semitic inhabited historical region of the Southern Levant located south of Judea and the Dead Sea. It is mentioned in biblical records as a 1st millennium BC Iron Age kingdom of Edom, and in classical antiquity the cognate name Idumea was used to refer to a smaller area in the same region. The name Edom means "red" in Hebrew, and was given to Esau, the eldest son of the Hebrew patriarch Isaac, once he ate the "red pottage", which the Bible used in irony at the fact he was born "red all over". The Torah, Tanakh and New Testament thus describe the Edomites as descendants of Esau. 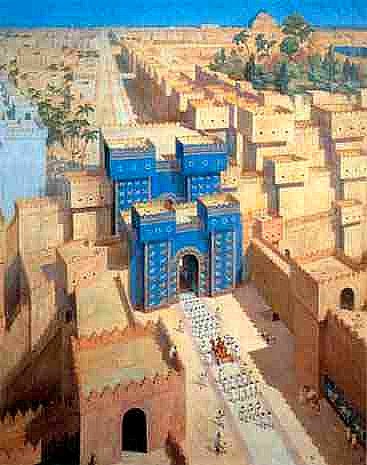 The Second Temple had been poorly built, and Herod attempted, unsuccessfully, to establish himself as a 'good Jew' by more or less rebuilding the structure. 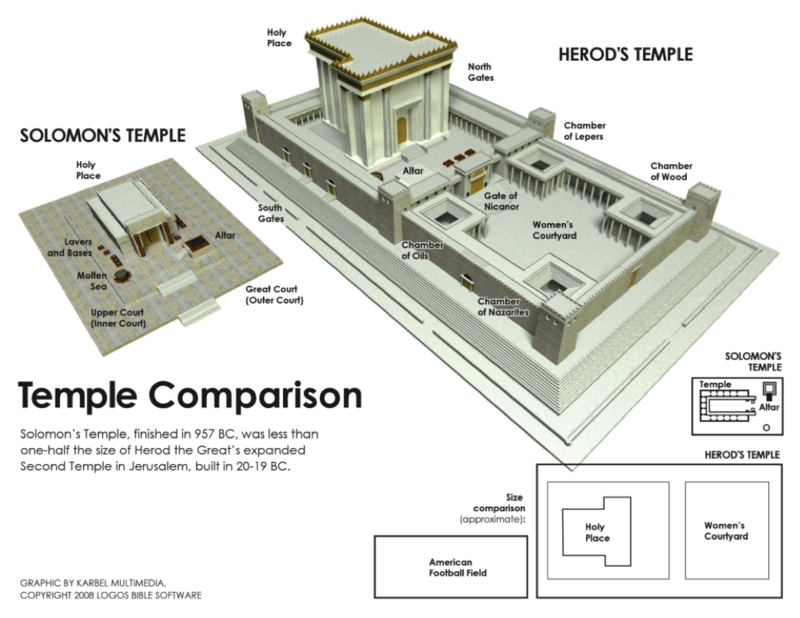 Reconstruction of the Temple under Herod began with a massive expansion of the Temple Mount. Herod was interested in perpetuating his name for all eternity through building projects. He had magnificent palaces in Masada, Caesarea and Tiberias and he also built temples for various pagan gods to serve the gentile populations, which were paid for by heavy taxes on the local Jewish population. His masterpiece, however, was the Temple of Jerusalem. 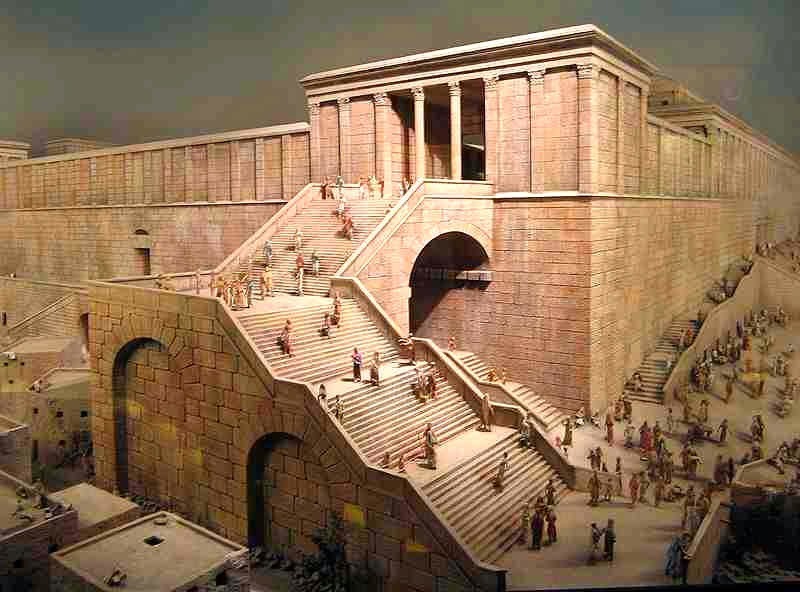 The old temple built by Zerubbabel was replaced by a magnificent edifice. An agreement was made between Herod and the Jewish religious authorities: the sacrificial rituals, called offerings, were to be continued unabated for the entire time of construction, and the Temple itself would be constructed by the priests. 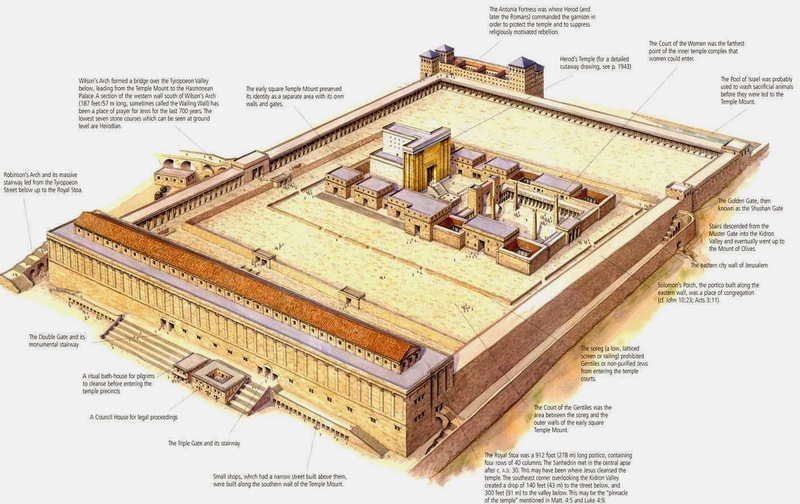 The rebuilding began with the construction of giant underground vaults upon which the temple would be built, so it could be larger than the small flat area on top of Mount Moriah (Mount Zion). There were ten entrances into the inner courts, four on the south, four on the north, one on the east and one leading east to west from the 'Court of Women' to the court of the Israelites, named the 'Nicanor Gate'. The gates were: On the south side (going from west to east) the 'Fuel Gate', the 'Firstling Gate', the 'Water Gate'. On the north side, from west to east, are the 'Jeconiah Gate', the 'Offering Gate', the 'Women's Gate' and the 'Song Gate'. On the Eastern side, the 'Nicanor Gate', which is where most Jewish visitors entered. Within this area was the 'Court of the Women', open to all Jews, male and female. Even a ritually unclean Cohen could enter to perform various housekeeping duties. There was also a place for lepers (considered ritually unclean), as well as a ritual barbershop for Nazirites. In this, the largest of the temple courts, there was constant dancing, singing and music. Only men were allowed to enter the 'Court of the Israelites', where they could observe sacrifices of the high priest in the 'Court of the Priests'. The 'Court of the Priests' was reserved for Levite priests. 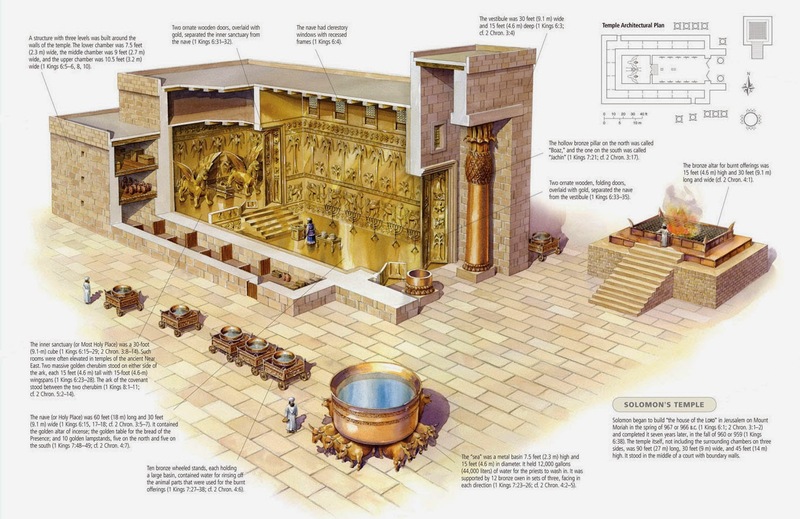 Between the entrance of the building and the curtain veiling the 'Holy of Holies' were the famous vessels of the temple: the menorah, the incense-burning altar, and various other implements. Following the Great Revolt of the Province of Judaea, the Temple, which had only just been completed, was destroyed by Roman troops under Titus during the Siege of Jerusalem in 70 CE (74 years after Herod died). And so the plans of the Demiurge for his 'chosen people' came to naught at the hands of the Roman Titus. And so a new plan was required, which required a new 'covenant' (agreement or promise). The Jews were allowed to spread out, taking with them their now emasculated religion - which was really just 'culture' - or rather a 'way of life', dedicated to the usurpation of all that the Aeons valued and promoted. And to further spread the distorted the plans of the Demiurge there was a new 'religious' idea - the 'slave morality' of the Christians. It was obvious to the Demiurge that the 'priestly' system of Judaism was a liability, as it relied on a priestly caste and the physical presence of a Temple. The remaining Jews, who were not, as a result, wedded Palestine, and to the Temple liturgy, were spread throughout the Middle East and North Africa. 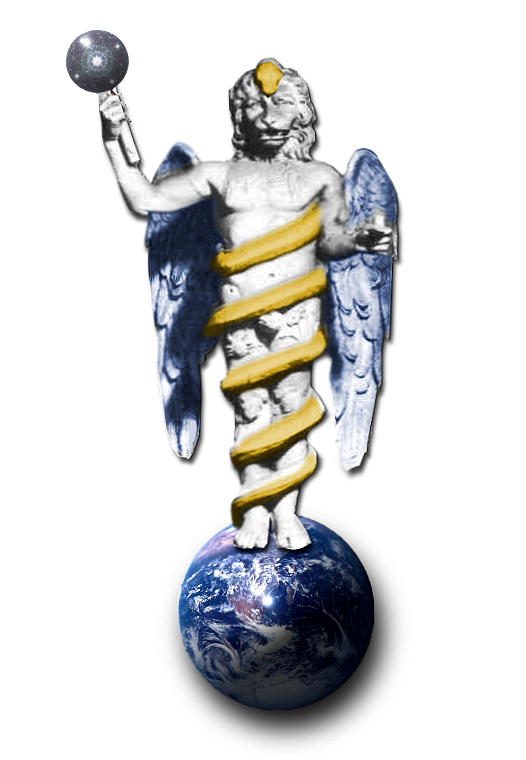 In addition there were many 'lower hybrid races' - creations of the Demiurge, - who were not specifically Jewish, and these groups were scattered throughout the multi-racial Roman Empire. Therefore, the Demiurge created a new form of Judaism - a Jewish movement, that later became Christianity, that was formed of Jews who accepted a Rabbi called Yeshua - ישוע - as a venerable person or even the 'messiah'. The מָשִׁיחַ - messiah (or mashiach) is a king or High Priest traditionally anointed with holy anointing oil. However, messiahs were not exclusively Jewish, as the Hebrew Bible refers to Cyrus the Great, king of Persia, as a messiah for his decree to rebuild the Jerusalem Temple. 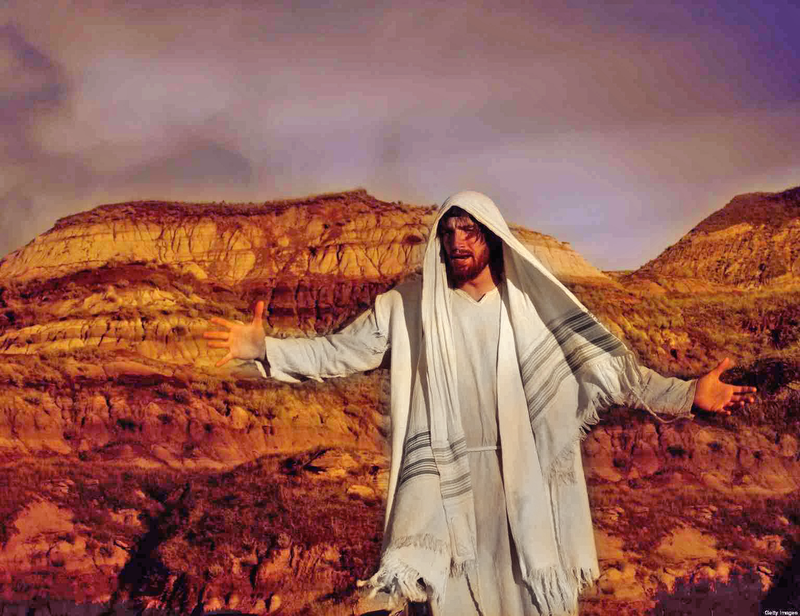 The Jewish messiah is a leader anointed by god, physically descended from the Davidic line, who will rule the united tribes of Israel, and herald the Messianic Age. 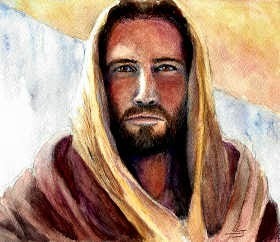 Jesus (Yeshua) was a Galilean Jew who was born between 7 and 2 BC and died 30–36 AD. Jesus was Jewish in race, culture and religion. Jesus lived in Galilee and Judea. Jesus spoke Aramaic, and some Hebrew and Greek, and in addition he did not travel or study outside Galilee and Judea. Jesus was not a carpenter, and such references are the result of a misunderstanding of Talmudic symbolic language describing Jesus as wise, and highly literate in the Torah. Jesus was possessed by a dæmon under the control of the Demiurge - and this was the source of his powers. 'The Dæmonic element manifests itself in all corporeal and incorporeal things, and even expresses itself most distinctly in animals, yet it is primarily in its relation to man that we observe its mysterious workings, which represent a force, if not antagonistic to the moral order, yet running counter to it, so that the one may be regarded as the warp, and the other as the woof. But the most fearful manifestation of the Dæmonic is when it is seen predominating in some individual character. Such persons are not always the most eminent men, but a tremendous energy seems to emanate from them, and they exercise a wonderful power over all creatures, and even over the elements; and, indeed, who shall say how much further such influence may extend ? All the moral powers combined are no avail against them; in vain does the more enlightened portion of mankind attempt to throw suspicion upon them as dupes or as deceivers - the masses are attracted by them. Seldom or ever do they find their equals among their contemporaries. As Jewish-Christian movement grew and evolved, Jewish followers of the Rabbi Yeshua became only one strand of the developing 'Christian' community, characterised by combining the confession of Yeshua (Jesus) as the מָשִׁיחַ - Messiah (Χριστός - Christos) with continued adherence to Jewish practices such as Sabbath observance and observance of the Jewish calendar, observance of Jewish laws and customs, circumcision, and synagogue attendance. During the Babylonian captivity (586–537 BCE) the Jews formalized and standardized the language of the Jewish prayers. Prior to that people prayed as they saw fit. Rabbi Yohanan ben Zakkai, one of the leaders at the end of the Second Temple era, promulgated the idea of creating individual houses of worship in whatever locale Jews found themselves. This contributed to the continuity of the Jewish people by maintaining a unique identity and a portable way of worship despite the destruction of the Temple. As Christianity, the new religion of the Demiurge, grew throughout the Gentile world, the new Christians diverged from their Jewish and Jerusalem roots. 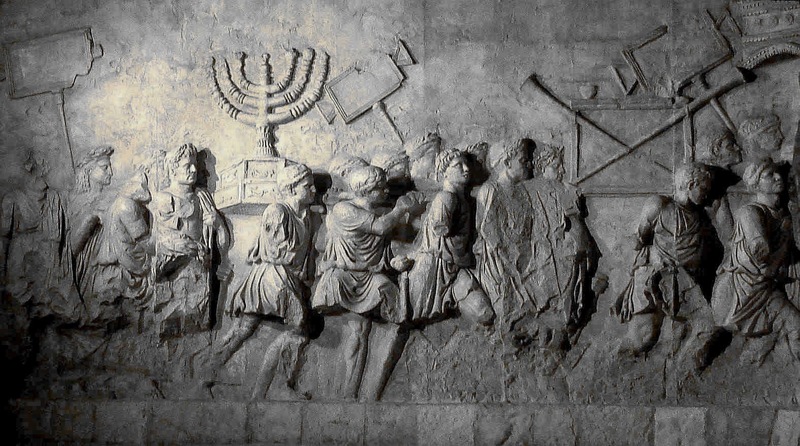 Jewish Christianity, initially strengthened despite persecution by Jerusalem Temple officials, fell into decline during the Jewish-Roman wars. 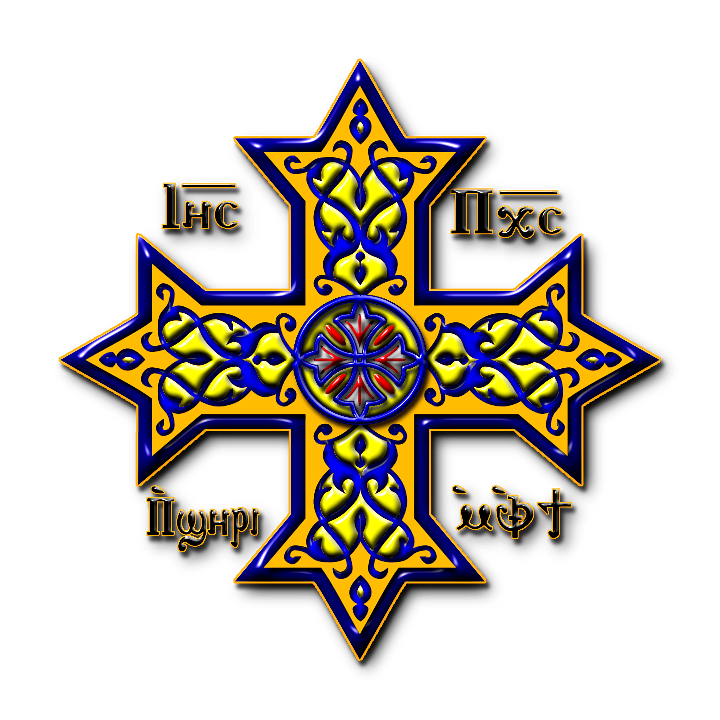 With persecution by the orthodox Christians from the time of the Roman Emperor Constantine in the 4th century, Jewish Christians sought refuge outside the boundaries of the Empire, in Arabia and further afield. The Ebionites and other Jewish Christians were a powerful influence on the development of the next Semetic syncretic religion - now known as Islam. The first mention of Jews in the area of what is today Saudi Arabia dates back, by some accounts, to the time of the First Temple. By the 6th and 7th centuries there was a considerable Jewish population in Hejaz, mostly in and around Yathrib, Khaybar, and Tayma. There were three main Jewish tribes in Medina, forming the most important Hejazi community before the rise of Islam in Arabia. These were the Banu Nadir, the Banu Qainuqa and the Banu Qurayza. Within the Empire, and later elsewhere, Gentile based Christianity became the 'State church' of the Roman Empire, and which took control of sites in the Holy Land such as the Church of the Holy Sepulchre and the Cenacle, and appointed subsequent Bishops of Jerusalem. 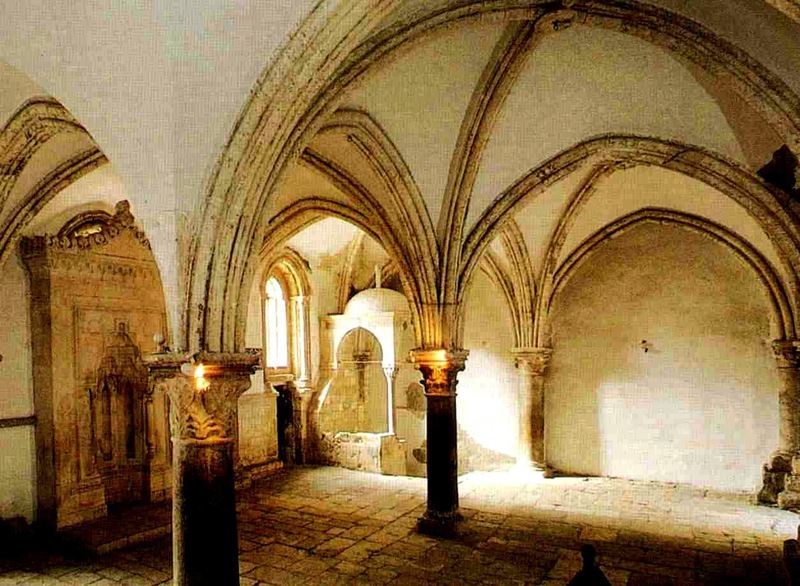 The Cenacle (from Latin cenaculum), also known as the "Upper Room", is a room in Jerusalem traditionally held to be the site of The Last Supper. The word is a derivative of the Latin word cena, which means dinner. In Christian tradition, based on Acts 1:13, the "Upper Room" was not only the site of the Last Supper (i.e. the Cenacle), but the usual place where the Apostles stayed in Jerusalem, and is considered by some to be the first Christian church. 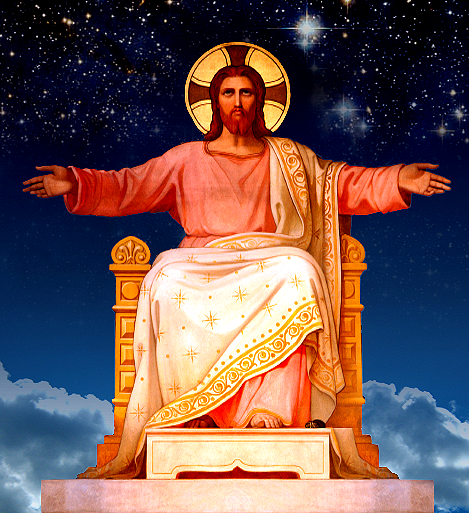 Christianity in the West has for long been misrepresented as specifically Greek (Byzantine) or Roman, however, the most influential aspects of Christianity were to be found outside the 'orthodox' sphere of influence among the Asiatic, African and Gnostic centres of Christianity. Egypt was identified in scripture as the 'place of refuge' that the family of Yeshua sought in its flight from Judea. "In that day there will be an altar to the LORD in the midst of the land of Egypt, and a pillar to the LORD at its border." There were also Alexandrian Jews who claimed to be followers of 'Yeshua'. When, according to Christian tradition, the church was founded by Saint Mark, during the reign of the Roman emperor Nero, many native Egyptians (as opposed to Greeks or Jews) embraced the Christian faith. Christianity spread throughout Egypt within half a century of Saint Mark's arrival in Alexandria. This has been made clear from the New Testament writings found in Bahnasa, in Middle Egypt, which date around the year AD 200, and a fragment of the Gospel of John, written in Coptic, which was found in Upper Egypt and can be dated to the first half of the 2nd century. Gnosticism began as attempt to understand the nature of the great Æons, and their relationship to the world, and to sentient beings. It was a creation of the 'noble race' - and was taken up, first in Egypt, and later by the Aryan Greeks. 'Classical Gnosticism' is the source of 'true religion', and of philosophy as found in the teachings of Πλάτων - Plato - and the Neo-Platonists. Neoplatonism (or Neo-Platonism) is the term used to designate a philosophy that arose in the 3rd century AD. Neoplatonists were heavily influenced both by Πλάτων - Plato, and by the Platonic, Hermetic and Gnostic traditions that thrived during the six centuries which separated the first of the Neoplatonists from Plato. The Neoplatonists constituted a continuous tradition of philosophers which began with Πλωτῖνος - Plotinus. One of the characteristic features of Plotinus' system, which was also taken up by subsequent Neoplatonists, is the doctrine of "the ONE" beyond being. For Plotinus, the first principle of reality is an utterly simple, ineffable, unknowable ONE, which is both the creative source and the teleological end of all existing things. The ONE is so simple that it cannot even be said to exist or to be a being - ἐπέκεινα τῆς οὐσίας. Rather, the creative principle of all things is beyond being, a notion which is derived from book VI of Plato's 'Republic'. 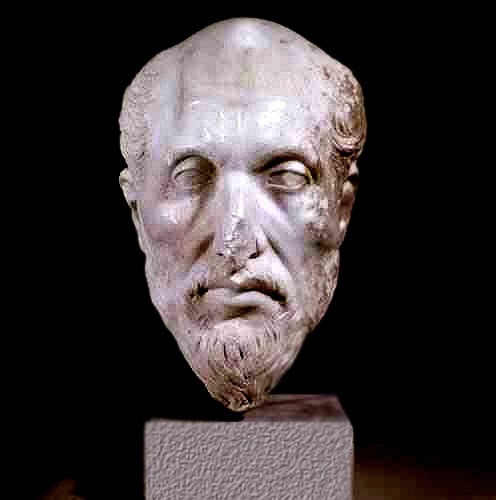 Apart from Plotinus, the two other great neo-Platonist philosophers are Πορφύριος - Porphyry, and Ἰάμβλιχος - Iamblichus. When Christianity came to Egypt, because Gnostic teachings - even if they had become corrupted - still survived in that land, Christian thought and doctrine developed a distinctly Gnostic quality. It is important to understand, however, that Gnosticism and Christianity, (and its antecedent, the Jewish religion) are fundamentally incompatible. Christian Gnosticism is an attempt to graft a true doctrine of the Æons (Gnosticism), onto a set of false beliefs (Christianity), which were created by the Demiurge Archon. Christian Gnosticism can be defined as being a member of two broad categories. These are the "Eastern"/"Persian" school, and a "Syrian-Egyptic" school. 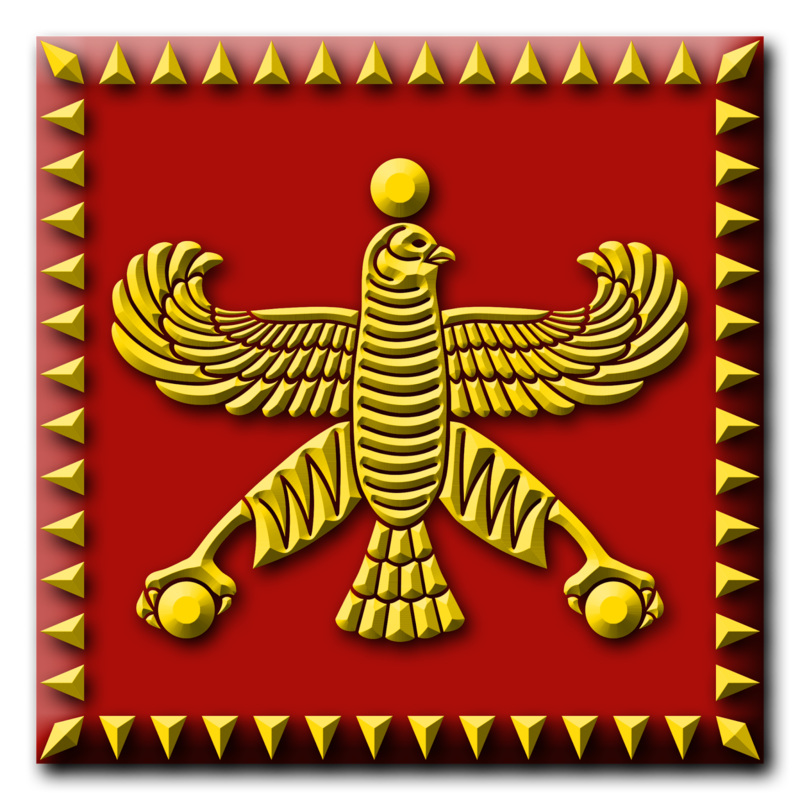 The former possesses more dualist tendencies, reflecting a strong influence from the beliefs of the Persian Zurvanist Zoroastrians - who had been influenced by the great Æon Zurvan. 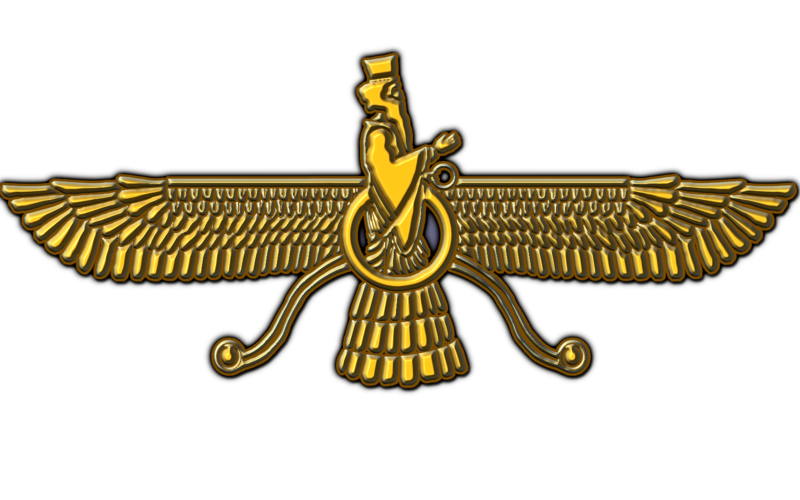 Zurvanism is a branch of Zoroastrianism that had the Æon Zurvan as its First Principle (primordial creator deity). Zurvanism is also known as Zurvanite Zoroastrianism. In Zurvanism, the Æon Zurvan is the 'god' of infinite time (and space) and is the “one" and "alone” deity of matter. 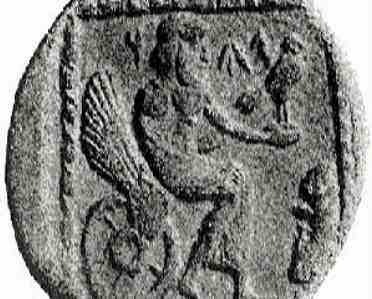 the The Æon Zurvan is the source of the two opposites representing the good 'god' Ahura Mazda and the evil Angra Mainyu. The Æon Zurvan is regarded as a neutral god, without passion, and one for whom there is no distinction between good or evil. The Æon Zurvan is also the 'god' of destiny, light and darkness. Among the Syrian-Egyptian schools and the movements they produced are a typically more Monist view. 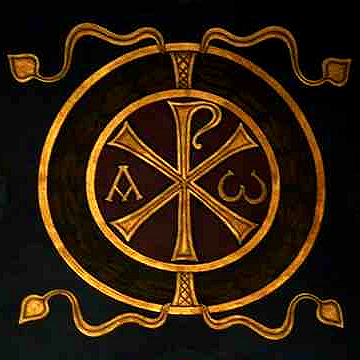 One of the main centres of Christian Gnosticism was Egypt, beginning with "The School of Thomas", and continuing with the developments of Valentinus, who was to found his own school of Gnosticism in Alexandria. While in Alexandria, where he was born, Valentinus had contact with the Gnostic teacher Basilides, and was influenced by him. Valentinianism flourished after the middle of the 2nd century AD. The school was extremely popular, and Valentinus' students elaborated on his teachings and materials. 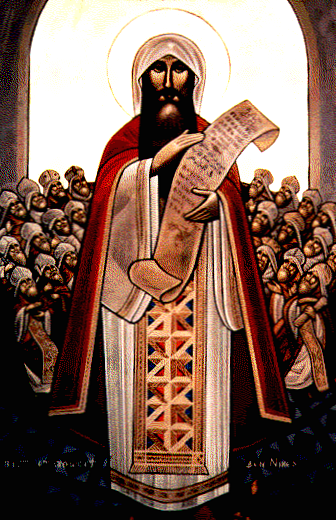 Valentinianism is the most elaborate and philosophically "dense" form of the Syrian-Egyptian schools of Gnosticism and, in addition, Basilides' own school was popular also, and survived in Egypt until the 4th century. The Nag Hammadi library is a collection of Gnostic texts discovered near the Upper Egyptian town of Nag Hammadi in 1945. The writings in these codices comprised fifty-two mostly Gnostic treatises, but they also include three works belonging to the Corpus Hermeticum and a partial translation/alteration of Plato's Republic. The contents of the codices were written in the Coptic language, though the works were probably all translations from Greek. The best-known of these works is probably the 'Gospel of Thomas', of which the Nag Hammadi codices contain the only complete text. After the discovery, scholars recognized that fragments of these sayings attributed to Jesus appeared in manuscripts discovered at Oxyrhynchus in 1898 (P. Oxy. 1), and matching quotations were recognized in other early Christian sources. 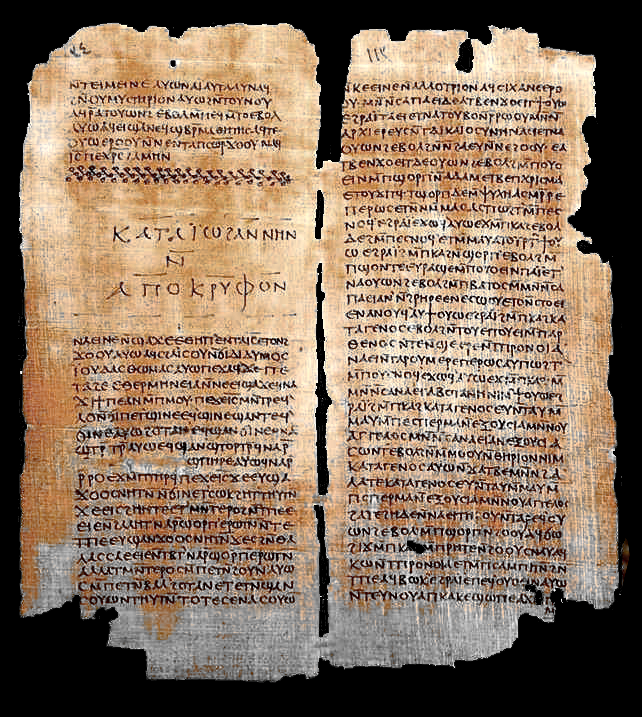 Subsequently, a 1st or 2nd century date of composition circa 80 AD has been proposed for the lost Greek originals of the Gospel of Thomas. The buried manuscripts date from the third and fourth centuries. Topics related to 'The Books of Foundation' are included in the continuation of 'The Story of Gracchus' to be found in the further adventures of the original characters (including Marcus, Glaux and Faunus) in 'CLUB JAGUAR' - which brings events to the present day - but in 'another world' (see 'The Multiverse' below). This website is not intended to support, condone or encourage any of the beliefs or ideologies described herein. The website is provided purely for academic study of various historical periods, and does not relate to any contemporary events or circumstances. All the information on this website is published in good faith and for general information purpose only. This blog does not make any warranties about the completeness, reliability and accuracy of this information. Any action you take upon the information you find on this website is strictly at your own risk. 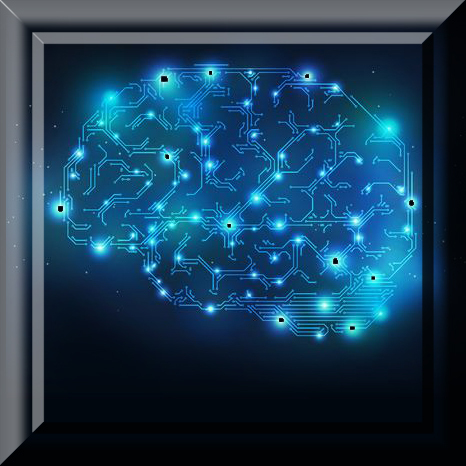 The Authors will not be liable for any losses and/or damages in connection with the use of our website. From our website, you can visit other websites by following hyperlinks to such external sites. While we strive to provide only quality links to useful and ethical websites, we have no control over the content and nature of these sites. These links to other websites do not imply a recommendation for all the content found on these sites. Site owners and content may change without notice and may occur before we have the opportunity to remove a link which may have gone 'bad'. Please be also aware that when you leave our website, other sites may have different privacy policies and terms which are beyond our control. Please be sure to check the Privacy Policies of these sites as well as their "Terms of Service" before engaging in any business or uploading any information. If you wish to use non-copyright images please credit this blog. Copyright images may not be used for any purpose. By using our website, you hereby consent to our disclaimer and agree to its terms. Please note - small text in Times New Roman in colour indicates those sections of the text which are explanatory notes, added by the author of the blog, and are not part of the main text. please note 'The Story of Gracchus' features some scenes of explicit sexuality and extreme violence. In the fictional (?) ongoing, adult internet novel - 'The Story of Gracchus', Faunus (a Servant of the Æons) gives an account of the emanation of the Æons, the nature of the Demiurge, and the relationship of these teachings to the philosophy of Plato in Chapter LV - 'SOMNIA ET DIEM IN URBE'. This forms part of the story leading to some of the main characters (Markos, Patroclus, Archos and Adonios) attending the 'Mysteries' at Eleusis. The 'Story of Gracchus' also includes an article about the 'Eleusinian Mysteries'. This blog does not make any warranties about the completeness, reliability and accuracy of this information. Any action you take upon the information you find on this website is strictly at your own risk. The Authors will not be liable for any losses and/or damages in connection with the use of our website. If you wish to use non-copyright images please credit this blog. Copyright images may not be used for any purpose. 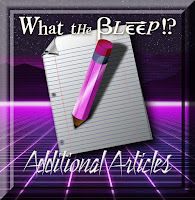 Please note that the author of this blog in no way condones or intends to promote any of the beliefs or statements contained in this blog, which are simply presented as academic reflections on various aspects of the occult, religion and philosophy.